Easter cards were sent in the mail today. 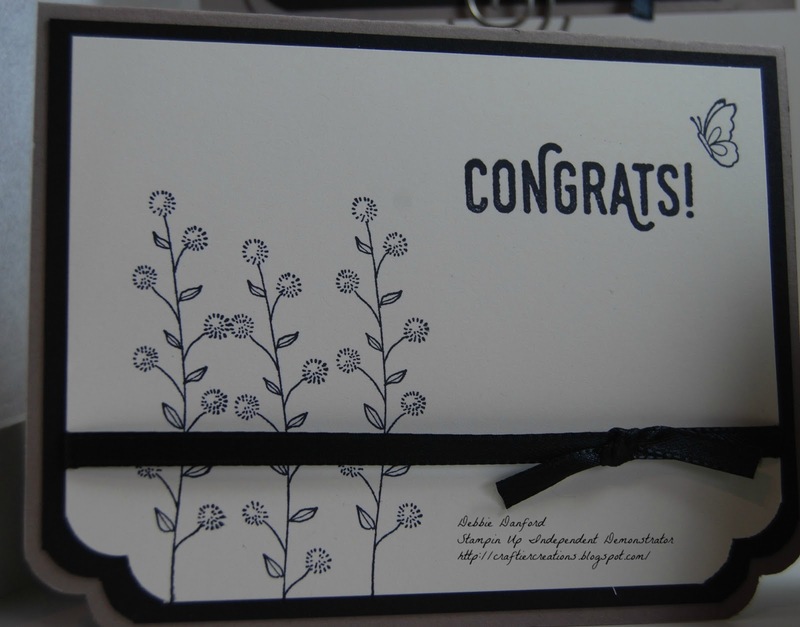 Hopefully they get to all the recipients on time!! 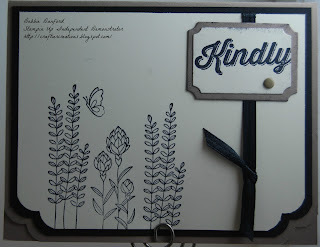 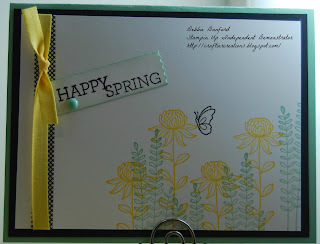 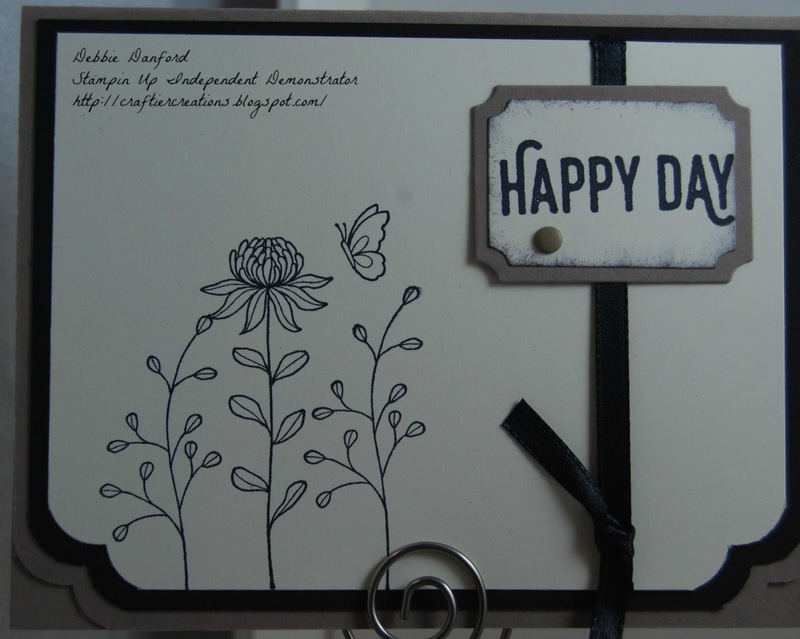 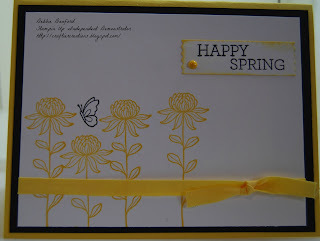 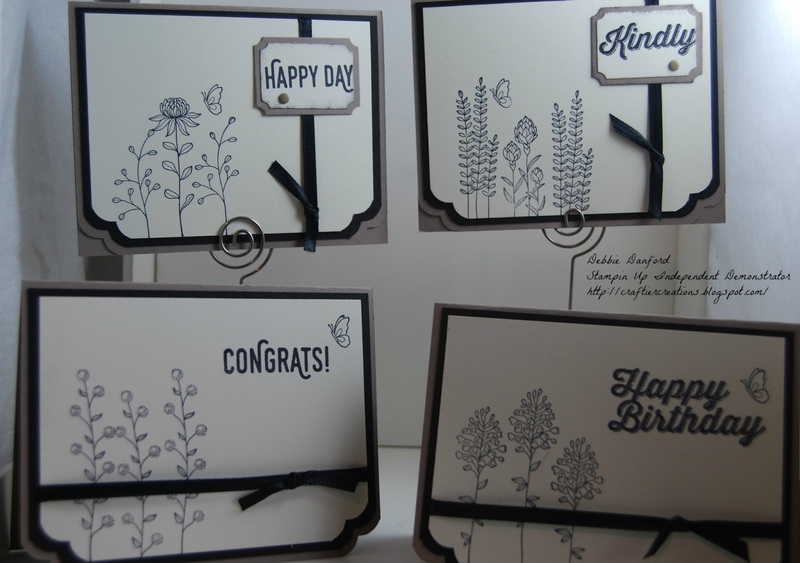 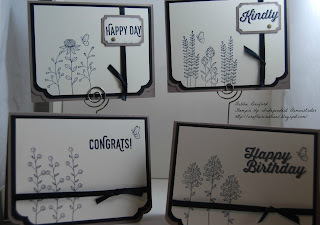 At the last monthly club get together we made some very simple cards with the Flowering Fields stamp set. 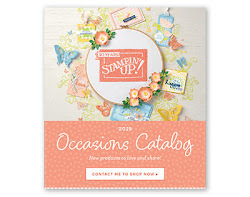 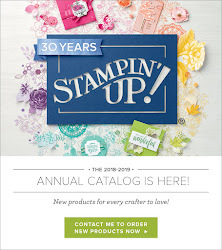 It is in the Sale-A-Bration catalog & is free with a $50.00 minimum purchase until 3/31/2016. 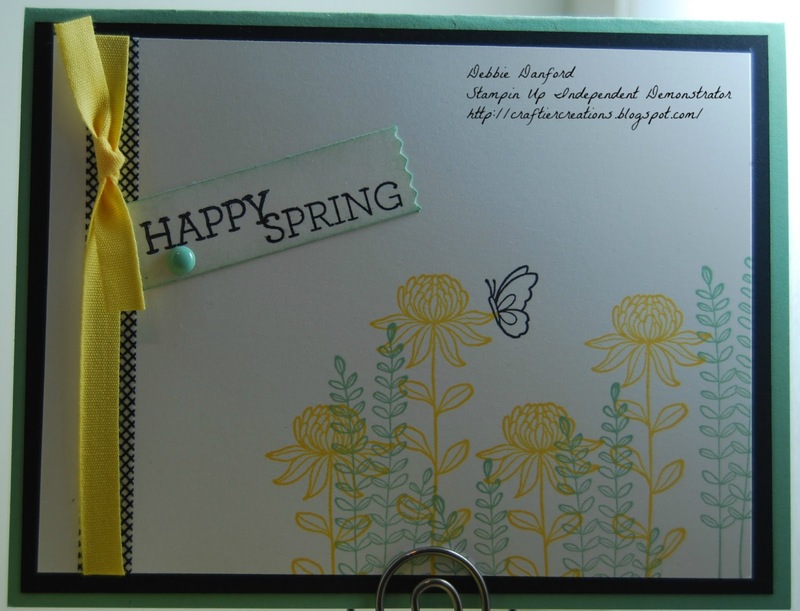 My time was was running out to get cards in the mail before Easter, so I decided to use the same design, but...in Spring colors. 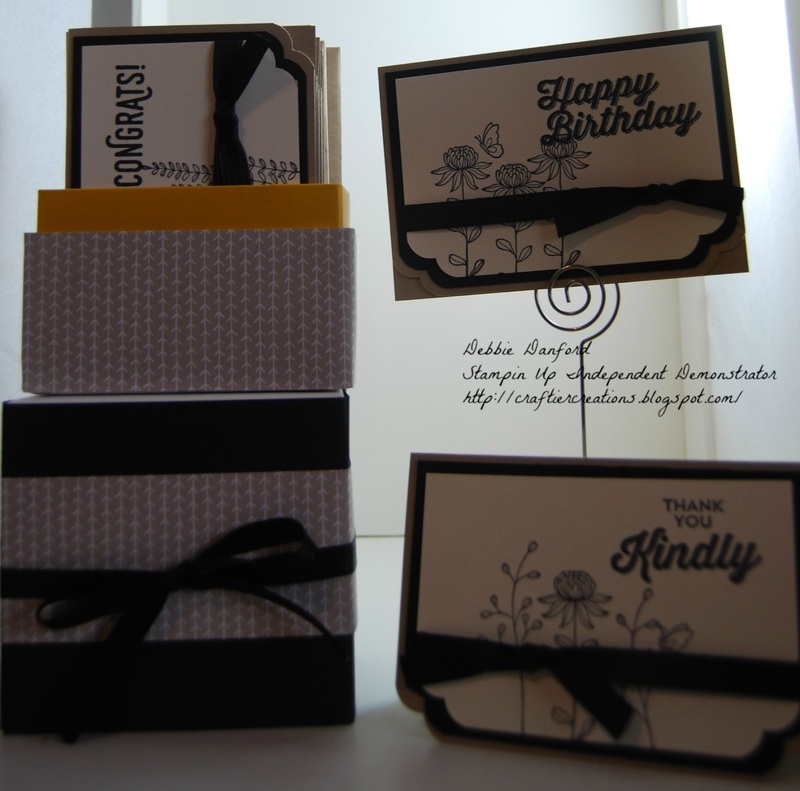 Original cards made for the class. Simple & easy. 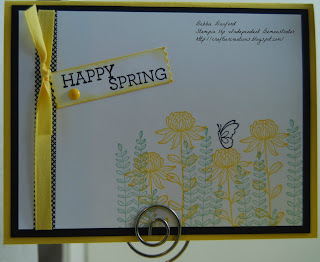 Spring/ Easter cards that I sent out. 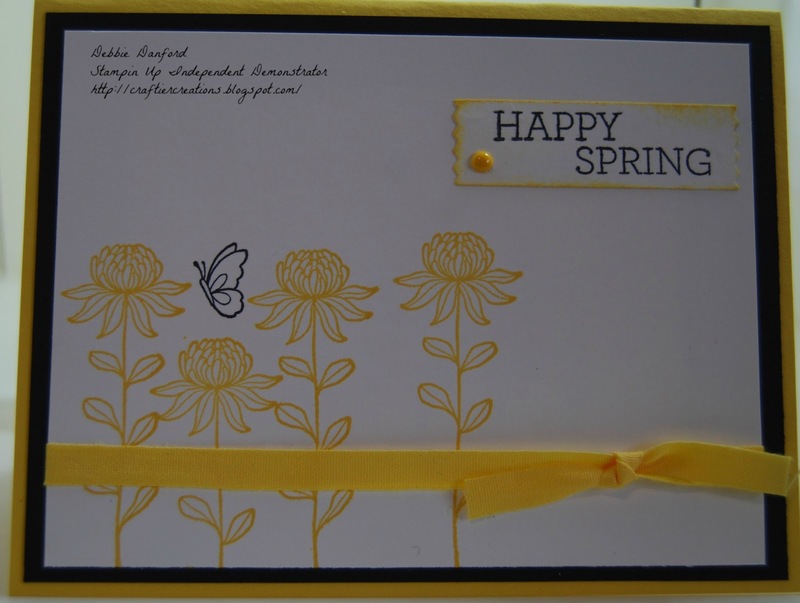 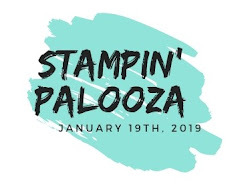 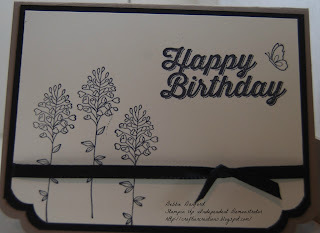 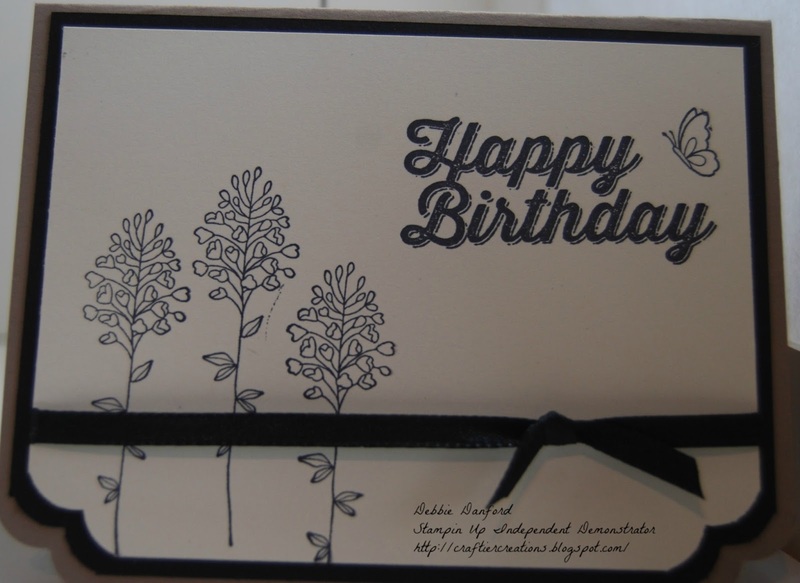 I wanted to also show you how I made a box set for the Busy Bee's Extravaganza that was held last Sat., using a recycled Project Life box, & the note card & envelope set. What a simple gift this would make.